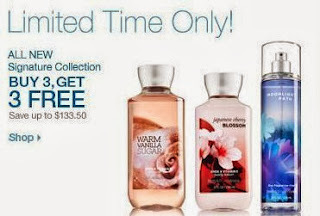 Right now you can get FREE Bath & Body Works products and a FREE $10 Gift Card! If you are new to Ebates you will be able to score 4 FREE Bath & Body Works products + a FREE $10 Gift Card when you buy 2 Both & Body Works products! Your total should include only 2 items + shipping and tax! You'll also get a FREE $10 gift card to a store of your choice when you make your first purchase over $25 with Ebates, if you are a NEW member!